The school playground is often a mine field of potential social challenges for many children. While some children thrive in the playground, few are immune to at least some difficulties with their peers. This article highlights seven common peer problems your children may face at school. Teasing and bullying are unfortunately still common in the school yard. 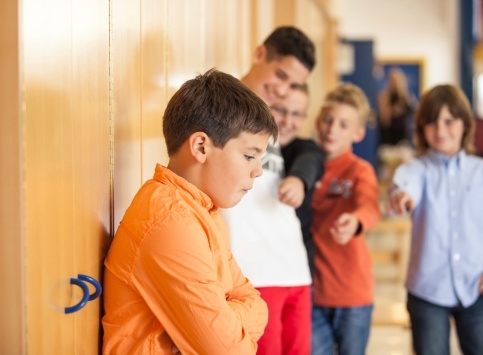 These issues will often not occur until after age seven or eight, and research indicates that at least three out of five sixth grade students experienced or participated in bullying in schools in New South Wales. See links below for more information. Making friends is more challenging for some students than for others. Some parents become concerned if their children do not have a large number of friends. However, research indicates that the number of friends your child has is less important than the depth of the friendships. Better to have a narrow but deep pool of friends than a wide and shallow friendship circle. Good friendships take time, attention, and more time to develop. Get your children together with other kids regularly to solidify their relationships. Some children will be intentionally left out of activities. There may or may not be teasing and bullying involved. This is a particular challenge, not just in the schoolyard, but also when birthday party invites are being distributed. Missing out can make a child feel awful. If your child is being ostracised, provide support, encourage alternative friendships, or consider involving your child’s teacher. By around the age of nine, many children have a keen sense of what is cool and what is not. Much of this is controlled by what they are exposed to via the media (through the Internet, television, and movies). If your child has not got the latest media gadget (e.g. ipod or mobile phone), seen the latest movie, or does not know the words to the hottest song in the country, they may feel excluded and could be teased or ostracised. This does not mean that children should be indulged or that your personal standards should be altered, but sensitive parents will likely take care to discuss such issues with their children and seek mutually agreeable solutions. Children who perform poorly in academic (or other pursuits such as sport) may be excluded or find distance between themselves and their peers. This is a challenge that can be overcome using strategies outlined. Children who present obvious differences to the majority of students, such as race, religion, or even socio-economic status, can often suffer socially because of the perceptions that they are not like everyone else. These issues can be particularly salient for girls once they reach age ten to twelve, although both genders can be affected. Skin colour or ethnicity, like religious habits, cannot and should not be changed to accommodate the majority. Instead, tolerance can be promoted by parents and schools to aid in peer relationships.